To many, the rejections of the Constitutional Treaty by Dutch and French voters in 2005 came as a shock. However, given the many tensions and the many unresolved issues it was quite unsurprising. The challenges facing the Constitutional debate go to the core of the European integration process as they have to do with the terms on which to establish a post-national political order. The problem of institutionalizing post-national democracy. These themes constitute the unfinished agenda of the European integration process. 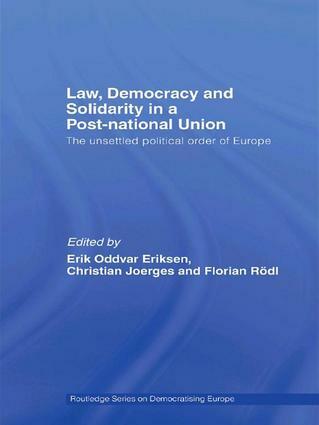 Law, Democracy and Solidarity in a Post-national Union is based on the efforts of a collection of top scholars in the fields of Law, Political Science, Sociology and Economics, and will appeal to students and scholars of political science, the European Union and European studies. Can there be a European social model?